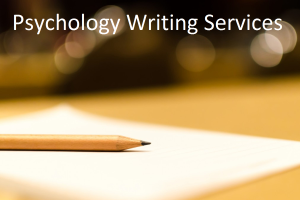 psychology classes online | What is Psychology? As we continue to explore the biological basis of human behaviour, the focus shifts to the topic of sensation. In this lecture we examine the roles of stimuli and receptors, define key terms such as absolute threshold, sensory adaptation and just noticeable difference (JND), look at detailed structures of our major sense organs and discuss the different ways in which we experience the world through our senses. This entry was posted in Biopsychology, Universities And Online Psychology Lectures and tagged absolute threshold, free online lecture, just noticeable difference, online education, psychology classes online, sensation, sensory adaptation, university online courses free on June 9, 2012 by WIP. This lecture covers the biology and physiology of the nervous system, with emphasis on the brain. The basic structure and function of the neuron is discussed, in addition to concepts such as action potentials and neuroplasticity. The presentation also highlights the major divisions of the nervous system and describes the functions of important brain structures and regions. This lecture essentially provides a brief look at the biological basis of human behaviour, and highlights the marvelous complexity and efficiency of the nervous system. This entry was posted in Biopsychology, Universities And Online Psychology Lectures and tagged biological basis of behavior, central nervous system, free online lecture, lobes of the brain, neurons, neuroplasticity, online education, peripheral nervous system, psychology classes online, university online courses free on May 9, 2012 by WIP. This lecture provides an overview of the major research methods used by psychologists in their study of behavior and mental processes. Included among these are naturalistic and participant observation, survey designs, case studies, correlational designs and experimental designs. A brief description of each research design is provided, along with simple examples to aid in understanding the material. This entry was posted in Universities And Online Psychology Lectures and tagged class notes online, free online course, free online lecture, online education, psychology class, psychology classes online, psychology courses, psychology lecture, university online courses free on April 27, 2012 by WIP. This entry was posted in Universities And Online Psychology Lectures and tagged class notes online, free online course, free online lecture, online education, psychology class, psychology classes online, psychology courses, psychology lecture, university online courses free on April 8, 2012 by WIP. This entry was posted in Social Psychology, Universities And Online Psychology Lectures and tagged class notes online, free online course, free online lecture, online education, positive psychology, positive self image, psychology class, psychology classes online, psychology courses, psychology lecture, self confidence, self esteem, self worth, university online courses free on March 13, 2012 by WIP.